One of the first things that comes to mind when a wedding is being planned is the bride’s wedding gown. But there are so many wedding gowns available. How do you choose the one that is right for you? Well, there are a few things to think about when you are looking at wedding gowns. These will help you to pick out the wedding gown that is right for you. The fist thing to take into consideration is what time of year you will be getting married. This will help you to decide on what type of cloth, the length of your sleeves, and the length of your gown. There are a couple of types of gowns that will work for all body types but you want to be sure that your gown makes you look the best that you can. 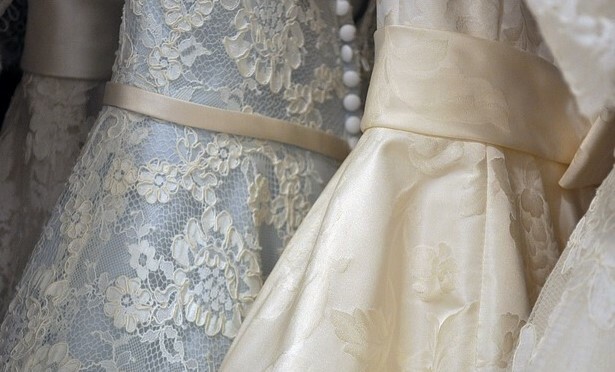 A person at the bridal shop can help you select the dress that is right for you. think about what kinds of dresses you like, and that will also help you to find a good wedding dress. No matter if they are plain or fancy, every gown is beautiful. It’s always a great idea to take your mother or another female relative or friend to help you choose your gown. It’s a great bonding experience and it’s always a good idea to have a second set of eyes.